Community Supported Agriculture is a partnership between a farm & a local community of supporters. 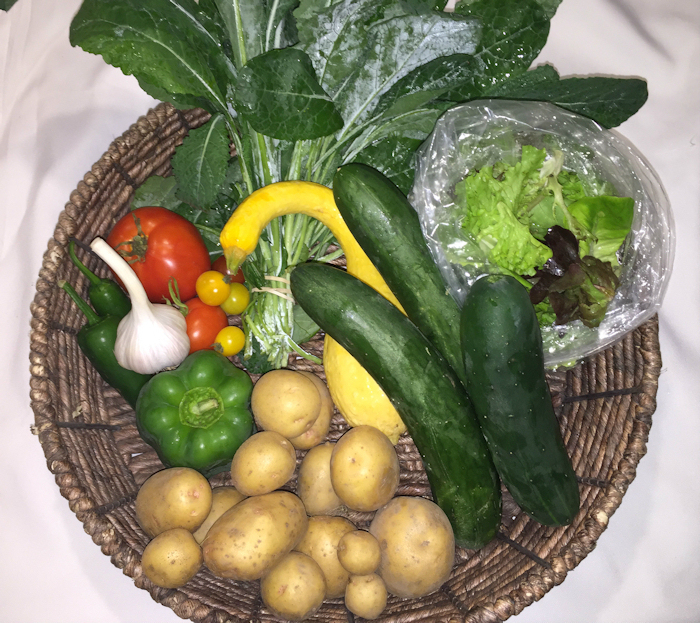 We're a small, farmer owned CSA farm located in Kewaunee County specializing in growing a variety of veggies & herbs. A specialty crop of ours is Gourmet Garlic. We grow over 12 varieties, but only select the largest bulbs for sale. Welcome to Sleepy Hollow Farm! After 6 years, we’re going to be taking a break this season from our CSA. Our intention is to spend a bit more time with fewer crops and trialing different tools and systems to make farming more efficient for the small market gardener. I’ll be growing on a much smaller scale & excess produce will be available at our farmstand. I appreciate all of your support over the years, I’ve enjoyed growing healthy veggies for your & families. Now I’d like to take some time to find ways to make it easier on new, small farmers starting out. Thank you again for your support. If you’d like to be notified when we have veggies available at our farmstand, please join our mailing list. The signup form is in the sidebar to the right.